It’s that time of the year again in Tokyo – the time when tens of thousands of fashion-conscious young Japanese women come together to cheer on their favorite models, listen to their favorite singers, and buy the absolute newest looks from their favorite fashion brands. Yes, you guessed it – it’s the practically-sold-out-before-tickets-went-on-sale Tokyo Girls Collection 2011 Autumn/Winter event! 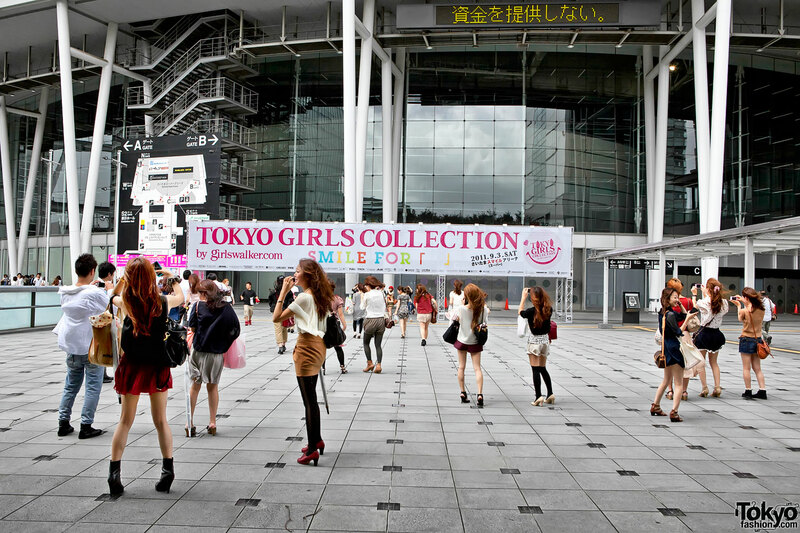 Tokyo Girls Collection – or TGC – is part fashion show, part concert, part shopping event, and all fun. Fashion labels catering to young women present their collections on the TGC runway, often worn by famous Japanese magazine models. The items on the catwalk can be bought via mobile phone websites while the show is in progress. 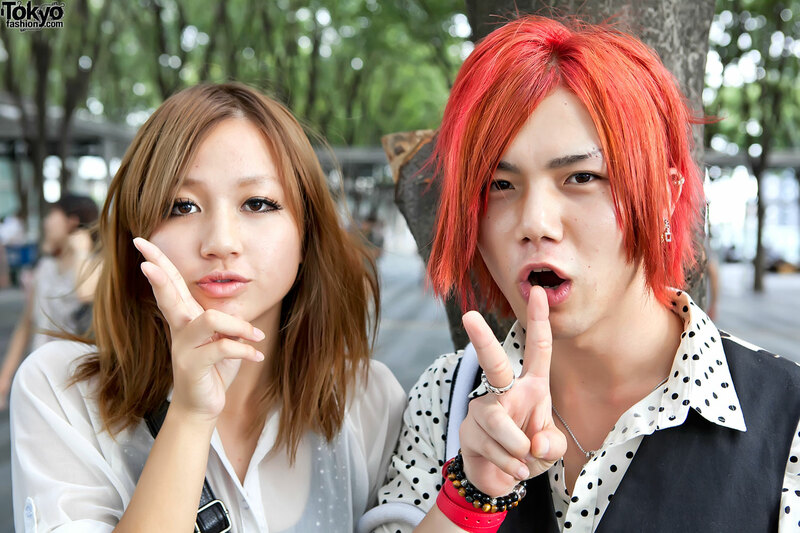 TokyoFashion.com had people both inside and outside of of TGC at Saitama Super Arena this weekend. In our upcoming reports, we’ll show you the clothes, models, and musicians that graced this season’s Tokyo Girls Collection catwalk. 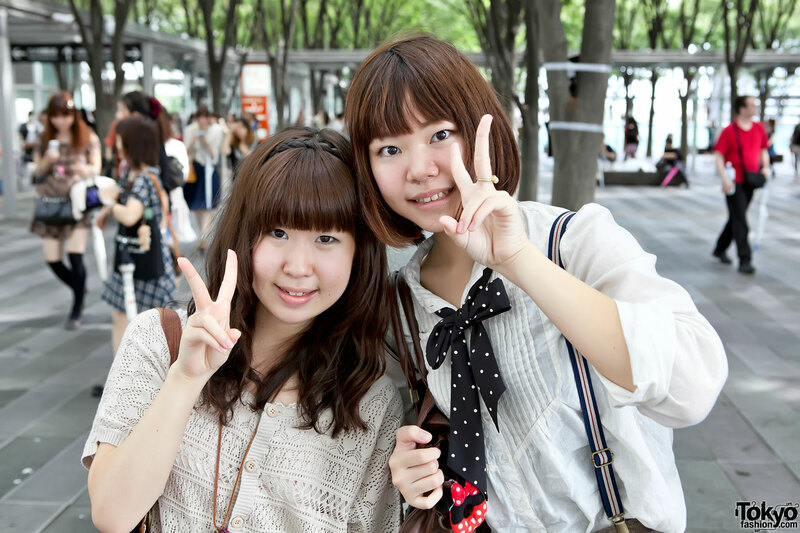 First, though, we wanted to give you a look at some of the girls who attended Tokyo Girls Collection. We took street snaps outside of the event as the crowds were getting ready for the show to begin. Seeing what the crowd is wearing can give you a glimpse at current trends just as much as the models on stage predict future trends. 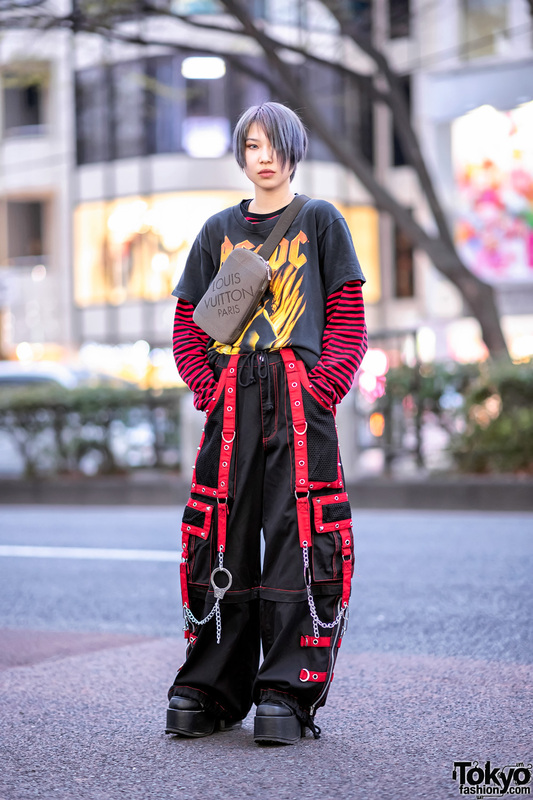 Unlike our Spring/Summer Tokyo Girls Collection street snaps (where gray over-the-knee socks were everywhere), there was no single fashion trend that stood out above all others. We noticed a lot of bright red/pink lipstick, high waists on shorts and skirts, polka dots, and hats. But overall, it seems like we may be in between major trends right now. Perhaps our upcoming report on what the TGC brands were promoting for Fall/Winter will change all of that. 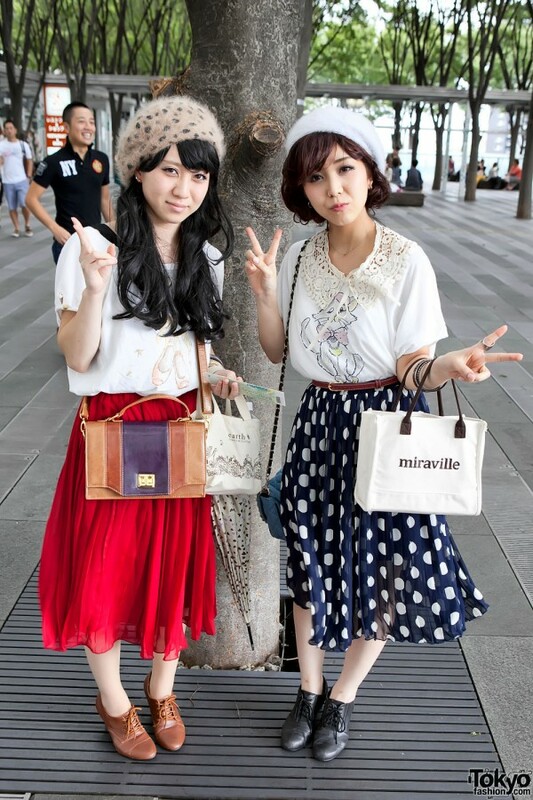 Update – here is our Tokyo Girls Collection Fashion Brands report, with over 200 more exclusive pics! 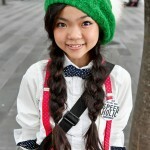 In the meantime, enjoy these Tokyo Girls Collection Autumn/Winter 2011 street snaps. Don’t forget that you can click on all of the pictures to see high resolution versions! Also, there was a major storm lashing Tokyo on the day of the event – so please forgive any wind-blown hair on the girls we photographed. Click on any of the picture to see high resolution versions. Also check out our catwalk report and music and entertainment report, both packed with lots of pictures of what was going on inside of Tokyo Girls Collection 2011 A/W! WOW! So many very well-dressed people! It looks so amazing and I’m sure it’s fun being there. I just love the photos! So many great shots! Beautiful: clothes, people, energy!! Looks like so much fun. For those of us who can’t be there, THANKS for uploading. wooooooooow i have just no words they are all sooo beautiful!!! Wauw thats so cool!! Is there more pictures?? Using a lens that made their legs look shorter was a poor choice. Thanks for all the nice comments everyone! As far as the lens, I use one of the best wide lenses that Canon makes, and I’m pretty sure it doesn’t cause any leg shortening. :-) I am slightly taller than the average Japanese girl, so sometimes my shots might be a little “from above”. Everyone so well-dressed. Do you use fill-flash for these types of street shots? It seems like there is flash catchlight in the eyes but I can’t tell for sure. I must go there next year!! How to purchase the tickets? THAT GIRL WEARING THE CHANEL BALL CAP- she is too hood. i love it. girl in green hat and guy with a red hair are AWESOME!!!! THEY ARE RULE!!! Wow those kids, where are there mothers? But really, wow, so many amazing outfits!! 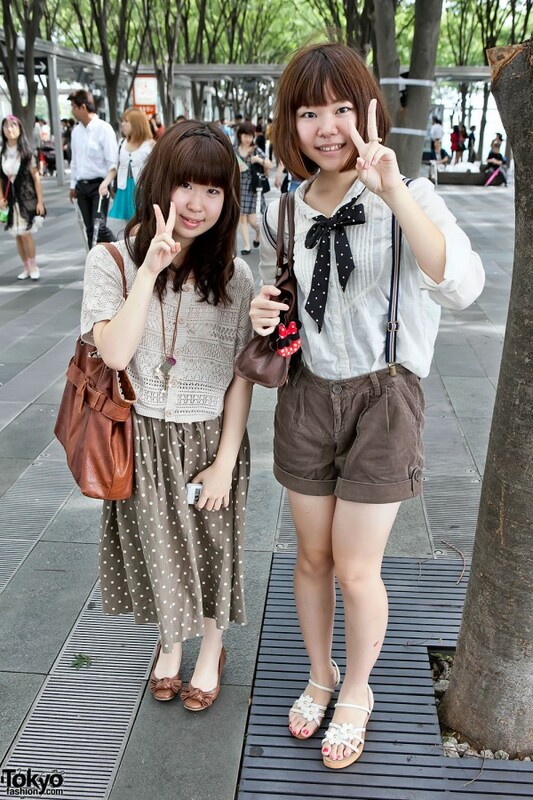 Actually, matching outfits with your best friend is very common in japanland. so whatever. omg why is every girl so gorgeous??? Great clothing and great fashion! However I think some of the kids here shouldn’t be wearing some of the clothing that they are. I accept however that people should be able to express themselves and have their own right to what they wear. But some clothes is best for a older age group. Fishnets? How old are they?